For a tourist/beach town, Ascea is noticeably lacking in a selection of decent restaurants, particularly on "the Corso" or main street. 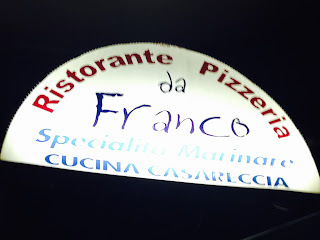 We went to Pizzeria and Ristorante Da Franco with a friend who lives in Ascea. The restaurant is at the far end of Corso from the town center and they have a reasonable €15 menu del giorno (tourist menu; primo, secondo, contorno, coperto, servizio) for dinner. It is quite big inside, but being a nice evening we sat on the small terrace in front on the street. The service was very attentive and good. I went with the menu del giorno and a primo of penne boscaiola (meat, mushrooms, and peas) with scallopina ai funghi (meat scallops in mushroom sauce) as my secondo and patatine (french fries) for a contorno. 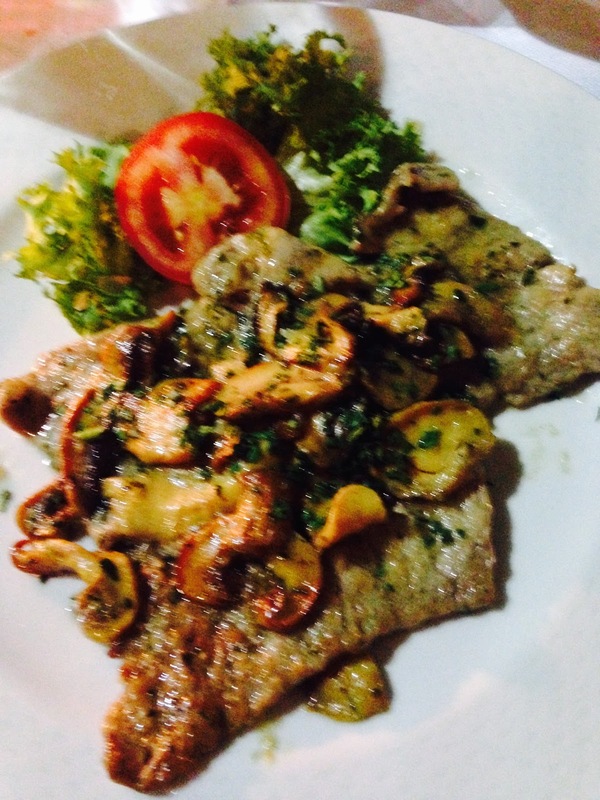 The boscaiola was creamy, earthy and robust, the scallopine light and savory, and the fries crispy and hot. An excellent meal at just €15. 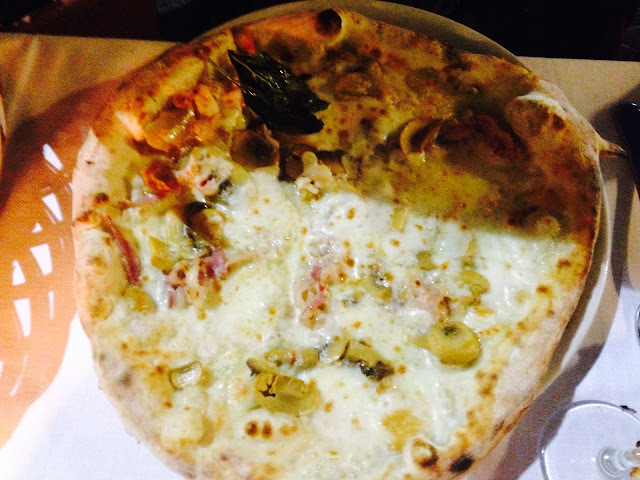 My wife and her friend had pizza which was as good as expected in Southern Italy, particularly anywhere within 100 miles of Naples. The crusts thin, yet sturdy enough to hold the toppings without getting soggy with just the right amount of tomato and other ingredients, not too many and not too few. 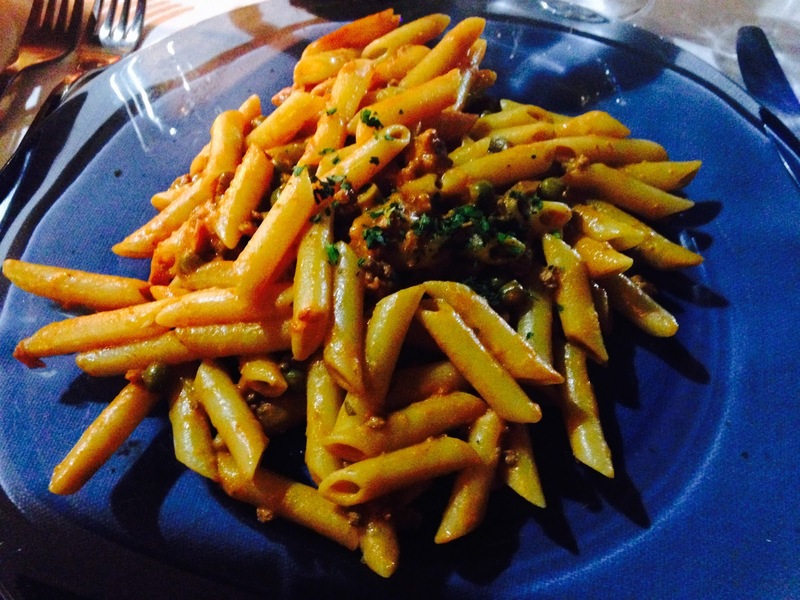 Da Franco was quite a good value in a beach town with remarkably few options, particularly for those on a budget and is recommended when visiting Ascea. CombatCritic Gives Da Franco 8 Bombs Out Of 10 ... Bombs Are Good!